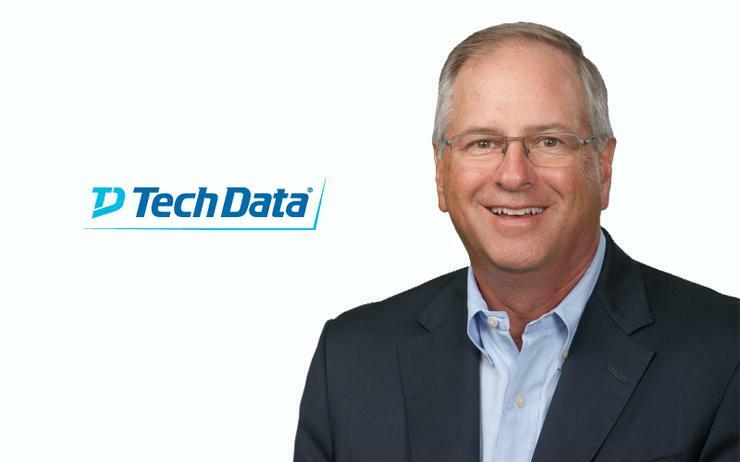 Tech Data has unveiled its new identity to the global channel, with the distribution giant now operating as one unified brand following the acquisition of Avnet’s Technology Solutions business earlier this year. Designed to offers a united front for partners across Australia and New Zealand, as well as all markets throughout the world, the US-based distributor will now provide a single point of entry to its end-to-end portfolio of products, solutions and services. “As we evolve our business in anticipation of what’s next, the Tech Data brand has evolved as well,” Tech Data chairman and CEO Bob Dutkowsky said. As explained by Dutkowsky, the new-look business has grouped core offerings into two primary solutions portfolios under the Tech Data brand, spanning endpoint and advanced solutions. Specifically, Tech Data’s endpoint solutions portfolio, previously known as the distributor’s broad-line offering, primarily includes PC systems, mobile phones and accessories, printers, peripherals, supplies, software and consumer electronics. In addition, the company’s advanced solutions portfolio includes primarily data centre technologies such as storage, networking, servers and advanced technology software, as well as converged and hyper-converged infrastructure. Delving deeper, this portfolio also includes next-generation technologies such as cloud, the Internet of Things (IoT), mobility, security and analytics solutions. “Tech Data serves as a beacon in the IT channel—central to our customers’ and vendors’ success,” Dutkowsky added. “Our teams have highly specialised skills in next-generation technologies, extensive software and services capabilities, and the best logistics engine in the industry, all backed by a global IT system that can do anything from process the sale of a laptop to configure the most complex multi-vendor solution. Tech Data’s next-generation technology solutions, coupled with services offerings, include lifecycle, CRM, integration and supply chain services, spanning both endpoint and advanced solutions portfolios. Going forward, Dutkowsky said Tech Data will continue to go to market with three specialised solutions: Datech Solutions, Maverick AV Solutions and Global Computing Components. As reported by ARN, Tech Data first entered into a definitive agreement to acquire the Technology Solutions business from Avnet in September 2016, in a transaction valued at approximately $US2.6 billion. Collectively, the combined entity services three regions - Americas, Europe and Asia Pacific - with sales coverage across more than 100 countries worldwide. Backed up by over 150,000 endpoint solutions, the distributor now houses more than 600 vendors, servicing over 115,000 customers in the process.